Transform Landscapes - Driveways/Patios/Paths, Landscaper based in Salisbury, Wiltshire. Transform Landscapes is a local family run business that specialise in all aspects of hard landscaping. Whether it is a small patio area, driveway or a complete garden transformation we pride ourselves in working closely with each and every client from design to completion. We are the Landscape Gardeners of Salisbury. Transform Landscapes also has the 'Easigrass franchise' for Wiltshire which specilaises in supplying and installing the finest quality artificial lawn. We can also offer a supply only service should it be required. We offer a free no obligation design and quotation service and all work undertaken is fully guaranteed and insured Transform Landscapes is a local family run business that specialise in all aspects of hard landscaping. Whether it is a small patio area, driveway or a complete garden transformation we pride ourselves in working closely with each and every client from design to completion. Located in the heart of the beautiful city of Salisbury we are able to undertake work in Wiltshire, Hampshire, Dorset and the surrounding counties. Whatever the budget, we can come up with a garden that both you and your family can enjoy for years to come. 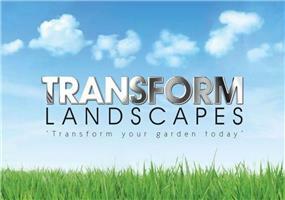 Call Transform Landscapes today, the Landscape Gardeners of Salisbury. All our staff are professional, qualified tradesmen with a definite pride in their work. Wiltshire, Hampshire and Dorset including Salisbury, Bournemouth, Poole, Southampton.